If you are struggling to pay your monthly mortgage payments, you should start to research your options immediately to avoid foreclosure. 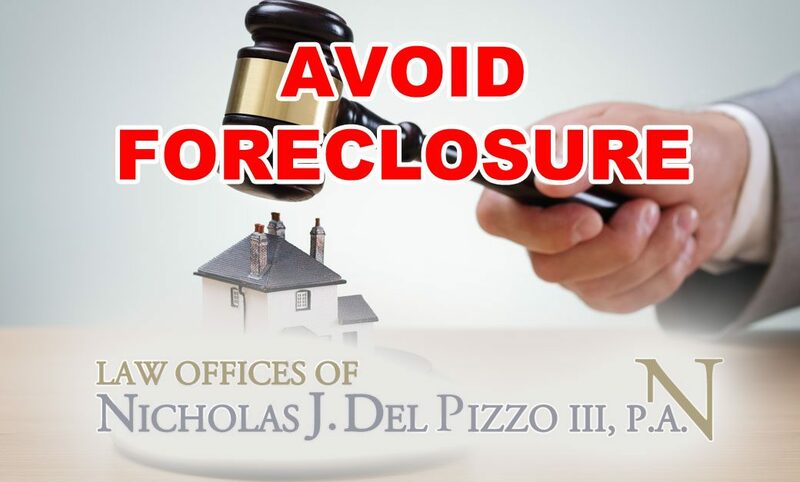 At the Law Offices of Nicholas J Del Pizzo we have compiled a list of alternatives to foreclosure. If you have enough money, you can “reinstate” your mortgage by paying all of your missed payments (both the principal and the interest) plus any of the fees or expenses associated with the miss payments. It is important to recognize that you can only do this within a certain amount of time, so if you have the cash, make sure you “reinstate” your mortgage quickly. Most mortgage lenders are not eager to move forward with a foreclosure. If you cannot “reinstate” your mortgage, contact your lender and ask them about options for a repayment plan, forbearance, or a loan modification. Loan Modification - a plan that lowers the interest rate or extends the term of the lona, and as a result lowers your monthly payment. Another option to avoiding foreclosure is refinancing. This option only works if you have a good credit score, as it is harder to refinance a mortgage if you have bad credit. Filing for Chapter 7 or Chapter 13 Bankruptcy is an option when looking at foreclosure. We have written numerous blogs relating to Chapter 7 or Chapter 13 Bankruptcy and which option would be best for you. To read more about these options please visit the Law Offices of Nicholas J Del Pizzo Blog Page. Your best option when faced with foreclosure is speaking with an attorney. By contacting a lawyer regarding foreclosure, he or she will be able to help guide you through the process. At the Law Offices of Nicholas J Del Pizzo we will use our experience and knowledge of the Maryland Bankruptcy Laws to save your home. Contact us for your consultation today. When is Chapter 7 Bankruptcy a bad idea?